When putting in an offer on a property, you have an option to conduct inspections to ensure you have the best idea of what you are purchasing. It is kind of like a test drive on a new car or a mechanical inspection of a used car. Even the most perfect home may have hidden issues that can be costly. As much as we like to trust that all the disclosures are accurate, there may be information the sellers either don’t know or “forgot” to mention. Inspections are key to knowing your home inside and out. There are many parts of a home inspection such as mechanical, water tests, and even air tests. 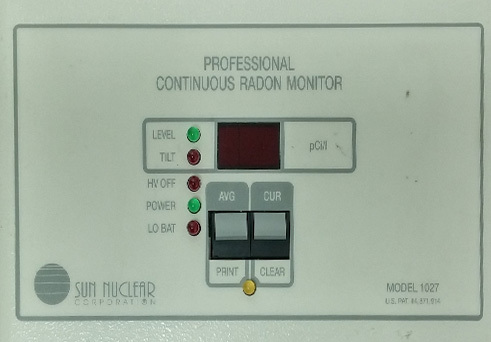 This blog focuses specifically on the air portion of the home inspection, the radon test. It’s time for an earth science lesson, so let’s go back to 6th grade for a moment. Remember the parts of the earth? The center is the core which is surrounded by the mantle, and on the outermost part, the Earth’s crust. The Earth is a living, breathing planet that is constantly emitting gasses all around us, from methane to oxygen. One of those gases is radon. It is an invisible gas that is formed in the Earth’s crust. It comes from rocks and soil beneath the Earth which contain traces of the element uranium. Over time, the rocks break down and release a gas which eventually decomposes to become radon gas. This is a photo of E-Perm Chambers. 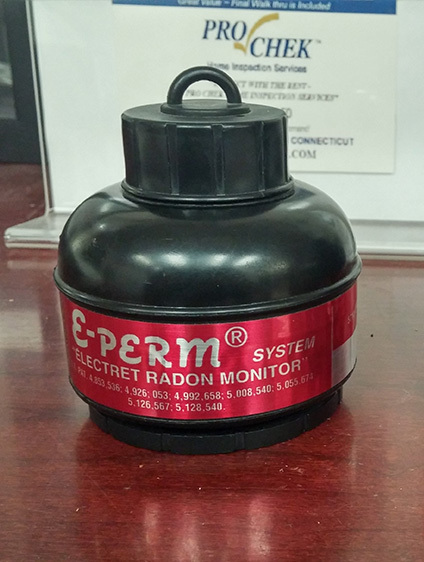 This detection device measures the voltage change in the test equipment which measures the radon concentrations in a home. Tests must be conducted for at least 48 hours in a home. Radon is in the air we breathe, so why is it a big deal? It comes from a break down of the element uranium, which we know has radioactive properties. As uranium decays, radium is eventually created and it contains a radioactive byproduct which we know to be radon. In case you were wondering if that’s a good thing … it isn’t! Radon is the number one cause of lung cancer among non-smokers. More than 20,000 people die from radon-related lung cancer every year in the United States. How does it get in my home? The gas comes from the ground and can enter a home through the windows, water sources, and cracks in foundation. Homes that are well insulated and whose windows are kept closed have the unfortunate effect of building up the amount of radon in the air. If it has nowhere to escape into the atmosphere, it will linger, and the occupants of the home will continue to breathe it in. An inspection involves monitoring the air of the home using a special test that is provided by the home inspector. After 48 hours of exposure to the air in the home, the test is analyzed and results are reported to you by the inspector. There is no avoiding the gas as it is in the air we breathe. However, we can mitigate its buildup in our homes. 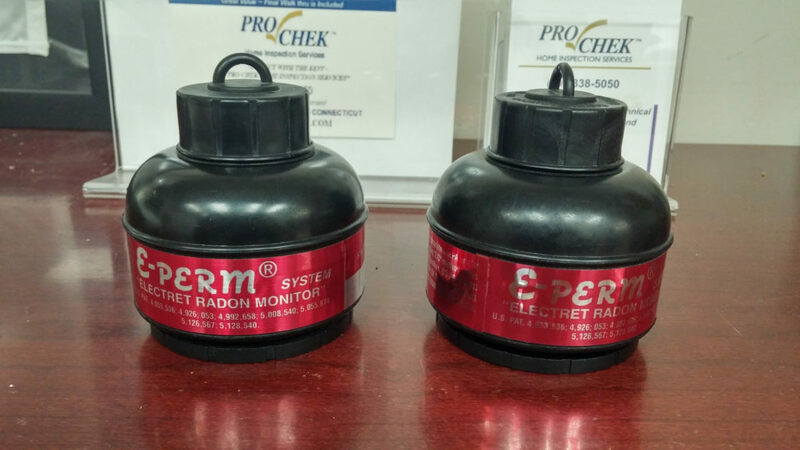 There are many companies that specialize in radon mitigation. 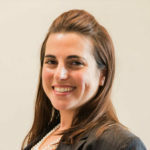 Costs of mitigating average between $800 – $1,500. This is a photo of a Continuous Monitoring device. This system measure the hourly concentrations in a home which is then averages over the period of the test. Before putting in an offer on a property, make sure you include a radon inspection as a contingency of purchase. Once the tests come back, you will know if the levels are acceptable or if a mitigation system should be installed. This may be something that can be negotiated out of your sale price. Call A to Z Realty and speak to a knowledgeable realtor today!